It's been pretty crazy here. I've been trying to stay busy since Omar's been gone. I got a third job, YES, a third. It's part-time but it helps to pay the bills. The holidays are also fast approaching and I simply can't wait! 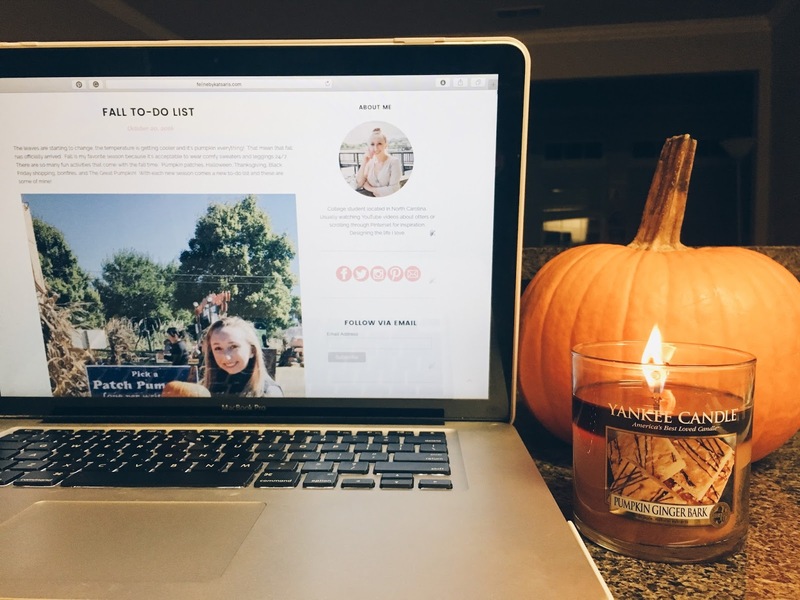 While I've been busy planning what to get everyone for Christmas and fun fall to-do lists, I stumbled across some fun links! Here's another round of links I love! One. Midday Touch Up // Ever have one of those days that you're just so drained? You've been running around none stop since 9am and now it's time to have a refresher? That also mean that it's time to refresh your makeup. This simple trick will have your skin looking fresh and awake so you can tackle the rest of the day! Two. Turn Your hobby Into Your Career // Now I may be a little biased because I helped with this interview, but I've raved about Carly and The College Prepster and her success as a blogger. It's very inspiring and here she tells you just how she did it! Three. How To Pack For Your Honeymoon // I love this Honeymoon packing list! It hit all the major items and also some you would never expect! Four. Breakfast Recipes // Something I have been loving lately is making breakfast! That sounds crazy, but breakfast is my favorite meal of the day. I used to just drink coffee and have a donut, but now I'm pretty into making some just as delicious pastries but healthier (kinda). Some of my favorites have been banana & blueberry smoothies, dark chocolate & coconut muffins, and apple & cinnamon oats! YUM! Five. Selena Gomez Workout // Selena Gomez is gorgeous and her body is on fleek! See how she gets in such great shape in this article. Six. NYC Bathroom Tips // I love seeing how people decorate their New York apartments. It's great inspiration for when I move there one day. Seven. Super Cute DIYs // Studio DIY is probably one of my favorite DIY websites. They've got the most creative and cutest DIYs. What I also like is that their DIYs aren't cheesy or ugly like some on Pinterest are. They're very different and totally make me want to go to Michael's right now and buy some art supplies. Some of my favorites are the fuzzy phone, sling beach chairs, and the throwback cooler makeover! Eight. How To Give A Dog CPR // I think the title speaks for itself. This is a great need-to-know if you've got a furry friend. Nine. Did You Grow Up Playing Soccer? // This article made me die of laughter! Signs to know that someone played soccer while growing up. Ten. Creative Doormats // Once you get your own place you seem to want weird home decor items you never knew you wanted. Like doormats for instance. These are on my to-buy list for sure!